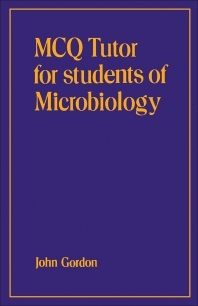 MCQ Tutor for Students of Microbiology provides a series of multiple choice questions with annotated answers, mainly in bacteriology but also including parasitology, virology, and immunology. This book focuses on clinical applications. Organized into four parts, this book begins with an overview of the pre-clinical aspects of microbiology and host defense mechanisms. This text then deals with microbial systematics as well as the detailed properties of the various microorganisms. Other parts cover the nature and manifestation of a wide spectrum of infective diseases. This book discusses as well the laboratory diagnosis, treatment, and prevention of infective diseases. The final part deals with other examples of other forms of multiple choice question. This book is intended to be suitable for medical students in the second and third undergraduate years as an aid to preparation for their third MB examination. Students of medical and laboratory sciences as well as candidates for diploma and college examinations will also find this book useful.